The course feels like a compilation of random anecdotes about history and myths. It should have either concentrated on a single civilization (e.g. 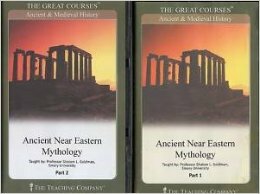 Mesopotamia) or assumed that listeners know the history, and presented an actually comprehensive introduction to ancient mythology. I mean, there are many other courses which give a much better account of this historical material already. The, unfortunately, sparse analyses of disjointedly picked up mythological works don’t really warrant a purchase; you might learn more by spending your money on the actual works in question. The course does offer some insight into ancient cultures, so it’s not a complete waste of time or something; it’s just very disappointing for its uncalled brevity.